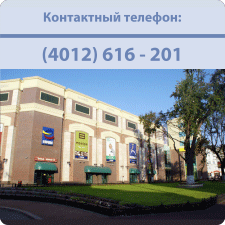 Corporate & Banking Service (C&BS Group) is management consulting company located in the Kaliningrad region of Russia. Our mission is to assist our corporate customers from Kaliningrad and other Russian regions to develop their business by the adaptation of new and intelligible management tools and decisions. We seek for the new opportunities for the commercial bans to expand their activities in the Kaliningrad region and to grow up their productivity. By creation an efficient interaction between industrial and banking sectors we try to achieve a synergy in the mutual relationship of all our business stakeholders.